Please view the "Let's Talk: Safety" video for a general view of the District’s safety work. We take the safety of your child seriously. Over the past year, we have been engaging the community in safety discussions. As part of community safety discussions last spring, we heard ideas and priorities about school safety from our students, staff members, parents and community. At the January 10 Board meeting, our Trustees heard a presentation and had discussion about planning and training in response to national active shooter events, such as Sandy Hook and Parkland. Taking into account the feedback from students, parents and community members, we believe that the best course of action is to equip our students and staff members in the best way possible. Districts across the nation have started conducting active shooter drills in an effort to help train school staff members and students to respond to violent events. While I wish we didn’t have to do this type of training, the reality is that as we practice for earthquakes and fires, MVWSD needs to provide training for students on what they should do in the event of an active shooter or similar event on campus. 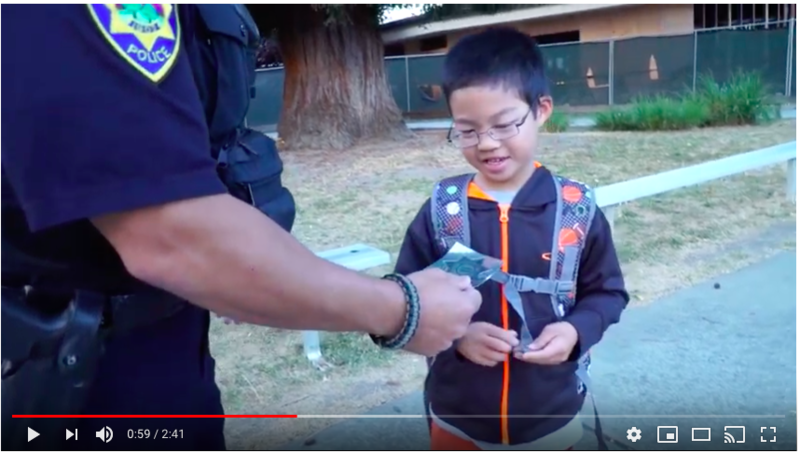 We believe that the best course of action is to partner with the Mountain View Police Department to provide training that is aligned with the protocol recommended by the Santa Clara County Police Chiefs Association. For middle school students, this training and practice drill will take place in late January/early February in partnership with the MVPD. MVWSD staff members receive training for an active shooter event every September. In the near future, elementary students will view a video designed to teach younger students how to react to an intruder on campus. Middle school parents should look for more information about the upcoming active shooter drills from their principals. This is an excellent training event for not only staff and students but also for the Mountain View Police Department. This middle school drill is part of a larger effort by MVWSD as it continues to work to ensure the safety of its students and staff members on its campuses. Thank you for your support and ideas as we work together as a community to keep our schools safe.